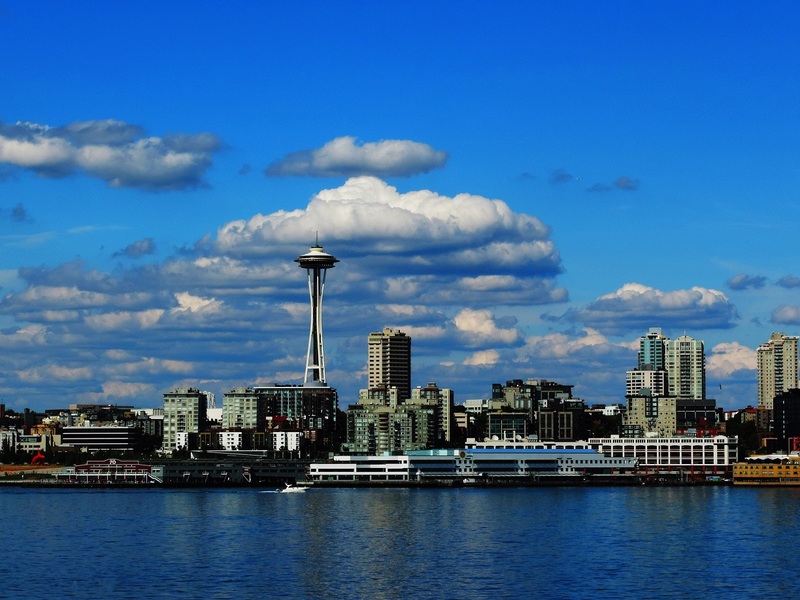 Honestly, Seattle has never been on our travel bucket list. 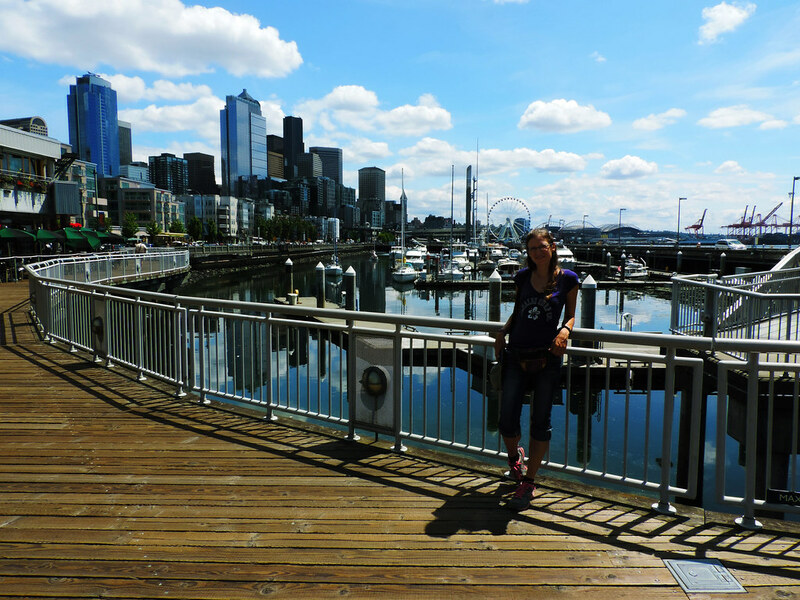 But we happened to travel from Mount Rainier to Olympic National Park this summer and Seattle was kind of ‘on the way’, so we thought why not spend a day there. And we haven’t regretted we did – it would have been a great mistake to miss this city! First thing we did was going up to the top of the Space Needle, of course. 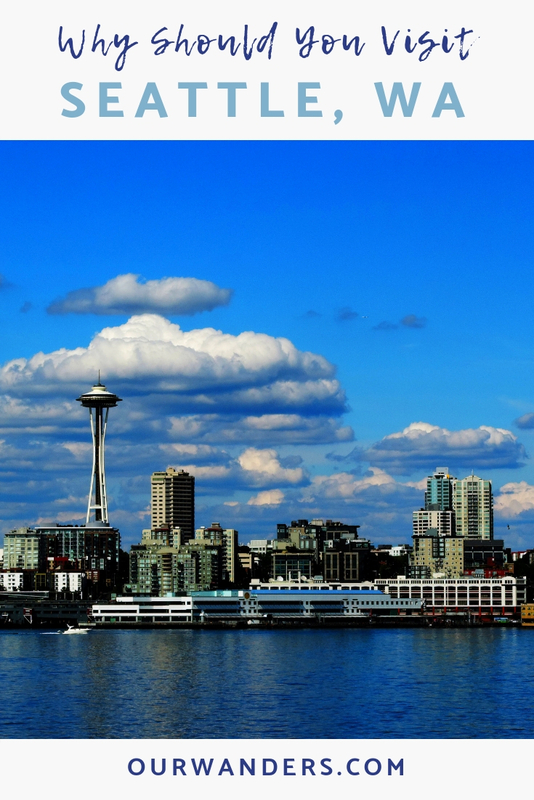 You just have to do this, if you visit Seattle, it’s such a famous, worldwide known icon of the city. 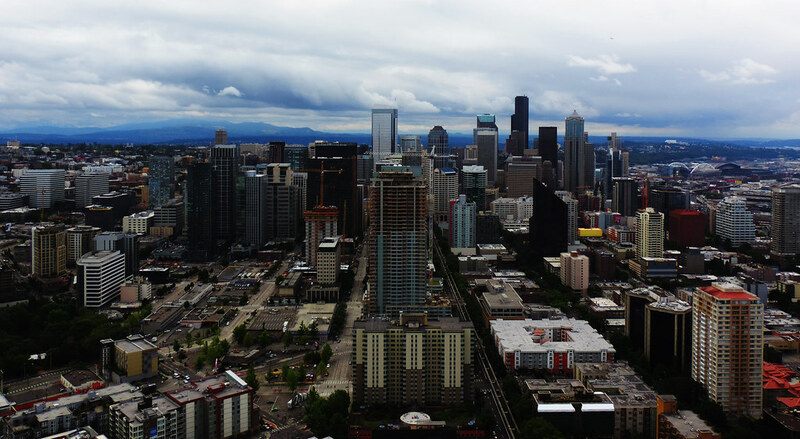 And you get the best panorama of Seattle and the bay from high above. You can even see the distant mountains in clear weather. While visiting the Space Needle, we saw that there’s an exhibition called Chihuly Garden & Glass right next to it and they even sell discount tickets if you visit both the Space Needle and the exhibition. We haven’t even heard about Dale Chihuly or his exhibition before (what a shame, now I know), it was just a random idea to visit, because we’ve seen the glasshouse and some interesting glass sculptures from outside and we were standing in the queue for the Space Needle ticket anyway. We are not at all fond of art exhibitions in general, but if we should choose one thing we loved the most in Seattle, we would choose this exhibition. In addition, there I figured out that it was also Chihuly who made the glass ceiling of Bellagio in Las Vegas – the ceiling which was one of the most impressive things we’ve seen in Vegas. The view: take a ferry ride! 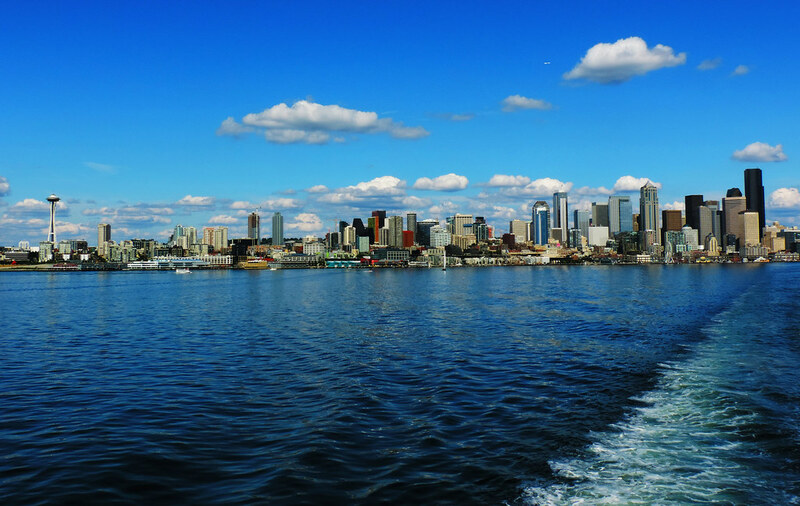 The countless little islands of Seattle give you a good excuse to take a ferry ride. We took it from Seattle to Bainbridge Island and back and the views were breathtaking all the way! The only thing we are a bit sorry about that we didn’t have time to walk a bit on the island, we took the next ride back immediately. But this was because we carelessly spent our time walking on the city center’s waterfront – and about that we definitely don’t feel sorry about. We don’t like shopping. We do it if necessary, but it’s definitely not a free time activity for us. So usually we don’t care much about markets or shopping malls – not even the famous ones – if we visit a city. But Seattle’s Pike Place Market is soooo famous that we decided not to skip it. And surprisingly, it became one of our best memories about the city – so as the cheesecake we bought there! It’s a public farmers’ market of which locals are very proud of and it’s really full of awesome products. That one day has flown by so fast! 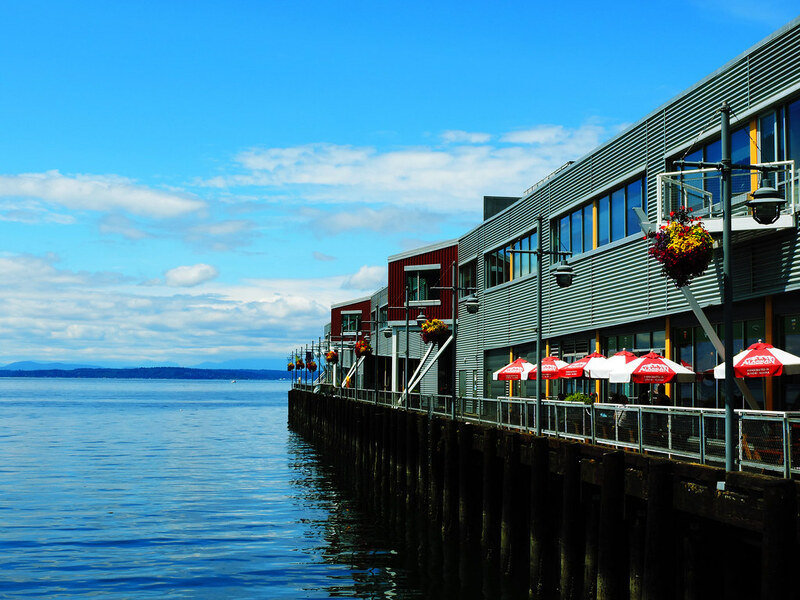 We loved Seattle: the atmosphere, the views, the market, the waterfront… And its harbor reminded us of our beloved San Francisco. In addition, we visited on a bright sunny summer day which – as locals say – a rare gift there. What was the best ‘not on your bucket list’-place you visited? 15 Pictures To Tempt You For A Visit To Washington, D.C.